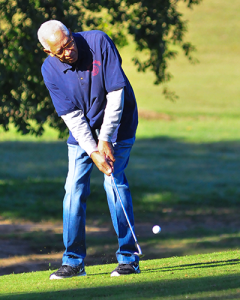 The Washington Area Tougaloo Alumni Chapter (WATAC) 8th Annual Golf-A-Thon is Thursday, October 18, 2018, at the Eagle Ridge Golf Course, Hinds Community College, Raymond, MS. This event raises funds for the Tougaloo College general scholarship fund. Since 2011, this event has generated over $93,000 for the College. 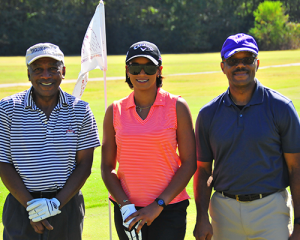 WATAC manages the Golf-A-Thon and the Tougaloo Community Chapter serves as host. All chapters are invited to participate in the Golf-A-Thon by entering one or more golfers to play as many holes as possible on the 18th. All funds that participating chapters raise are sent to the chapters, with the exception of the WATAC fee required to manage the event. minus WATAC management fees which are also given to the College from WATAC. This golf-a-thon is an easy way for TCNAA and chapters to raise funds for the Tougaloo College general scholarship. Please see the attached brochure. I encourage you to participate in this event. If you have any questions or need additional information, contact golf-a-thon chair, John Rosenthall at jrosenthall@msn.com or call 703-624-2257. Your participation is vital to the success of the golf-a-thon! Remember the funds collected are contributed to Tougaloo’s general scholarship fund.